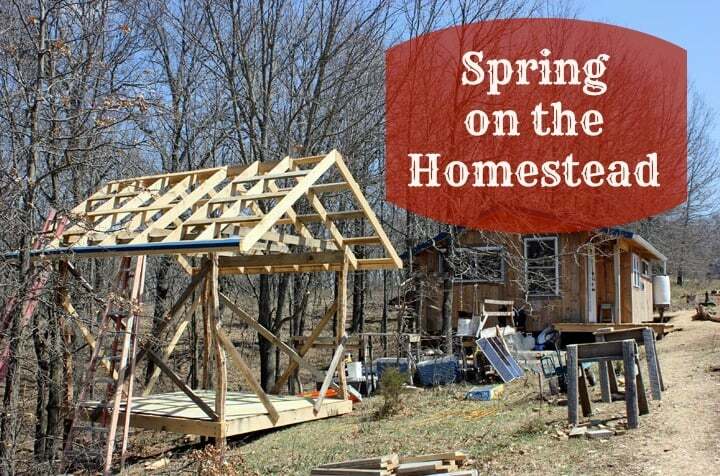 Like so many homesteaders I talk with these days, we are in the midst of our busiest season. Summer harvest days can also be full, but there is nothing like the surge of spring energy to tackle lists of tasks that have accumulated all winter long! 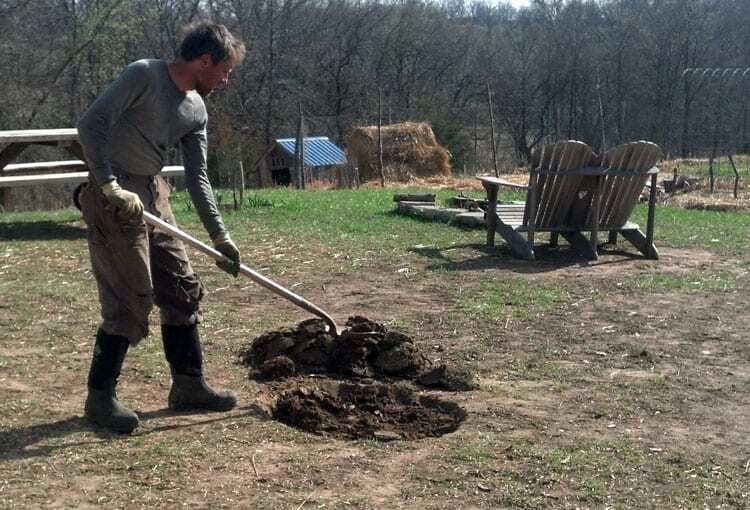 Here’s a glimpse into what’s happening on our homestead. 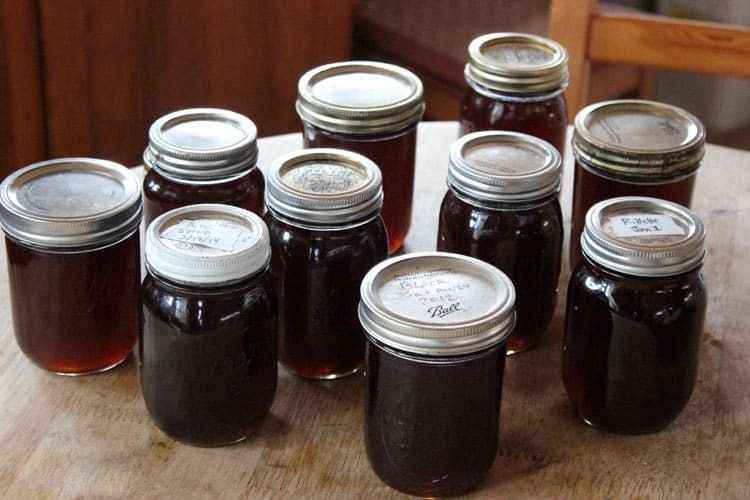 We took the many cups and pints of black walnut syrup that we boiled down over several weeks’ time and consolidated them. In total, we got about a gallon and a quart of syrup! Here’s an earlier post about tapping our trees. 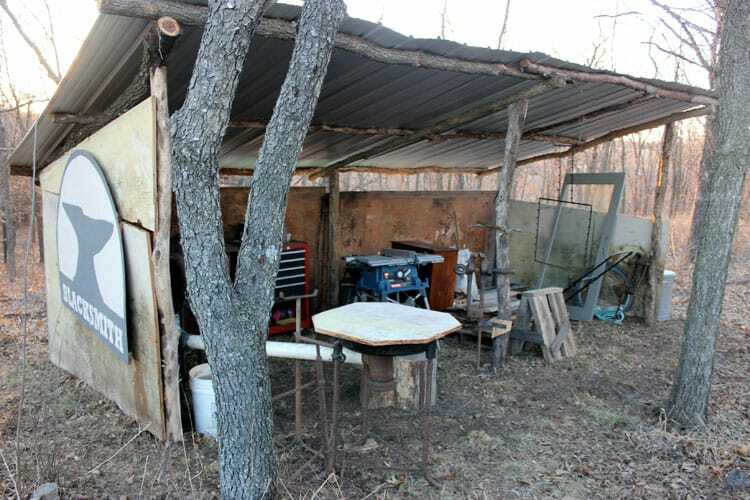 For the past year and a half, Brian’s been working out of the shop on a neighboring piece of land. 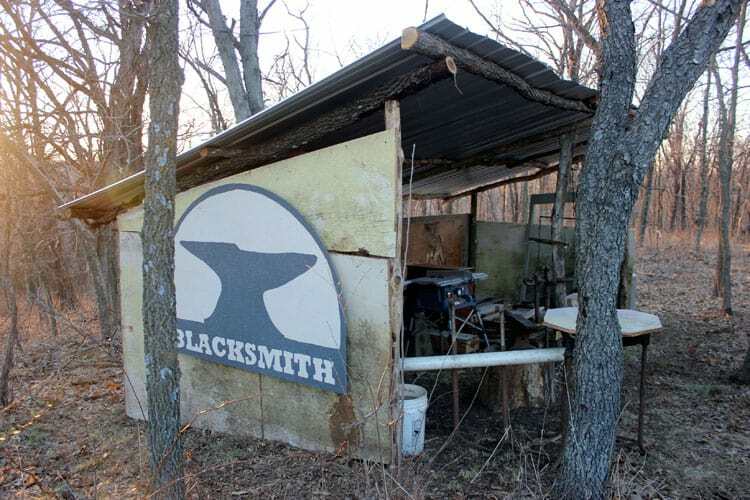 Although we have plans for an enclosed shop, he built this quick-and-dirty round wood smithy to use this summer and fall. He’s creating some new pieces for our Etsy shop, Acorn Hill Handcrafts, which is super exciting! We moved garden fencing to create a space about double the size, and I’m building new beds to try to keep up with my need! 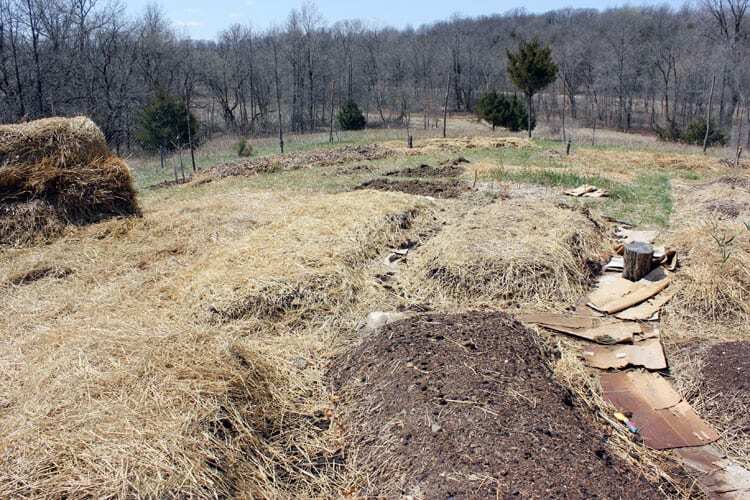 I’m using the sheet mulch, or lasagna gardening method, which you can read about here and here! 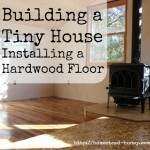 If you think that we do a lot of building around here, you are certainly right! Starting from scratch on a raw piece of land, our efforts are heavily weighted towards infrastructure. 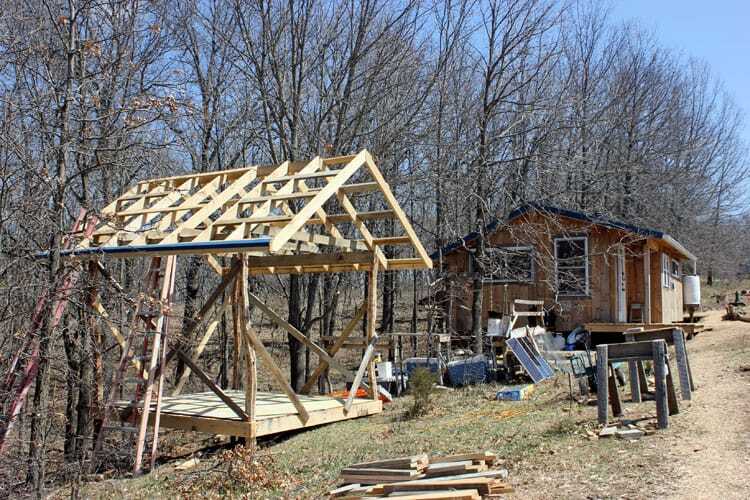 This adorable little shed will be for storage and tools. Maybe some day it will evolve to meet a different need. 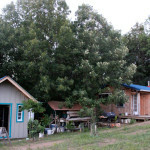 The supporting posts were hand-hewn from black walnut from our land, which I wrote about here. This small front porch has totally changed the feeling of our entry into our home. 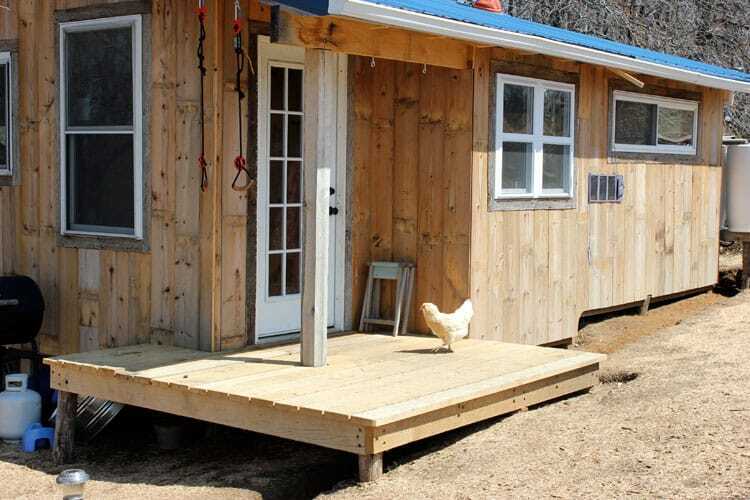 Obviously, the chickens are fond of it too! This might seem like a very small accomplishment – really, there were only about 7 pieces of Carr Siding to finish installing. 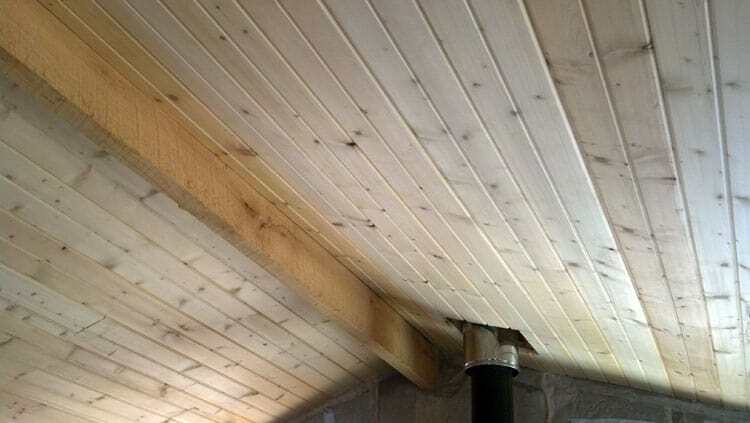 But the cold winter weather made it virtually impossible to do this work, so we’ve been staring at a section of blown-cellulose insulation on our ceiling all winter long. It is SO nice to have this part of the house finished! Today we got our first shipment of fruit trees in the mail. We promptly planted a few Service berries, a Peach, an Asian Pear, and a Mulberry. In a few days, blackberries, raspberries, blueberries, strawberries, and another fruit tree or two will arrive. 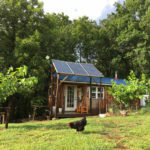 I wrote about selecting fruit trees for your homestead here, and planting fruit trees here, if you’re adding some to your home. Whew! That’s quite a tour! 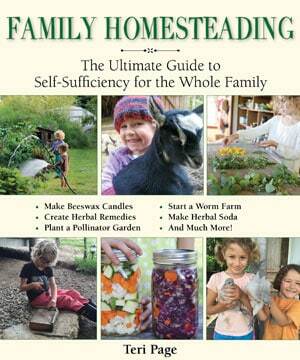 So what’s happening on your homestead this Spring? 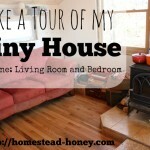 This post was shared at From the Farm Blog Hop. This is exciting. We are in the middle of spring projects too. I have a background in construction. So lots of building projects around here. 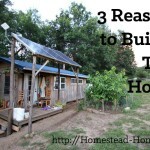 It sure is helpful when someone on the homestead has a background in construction! I feel so lucky! It sure feels like we’ve been busy! Luckily, it is very satisfying work. Thank you for this site. 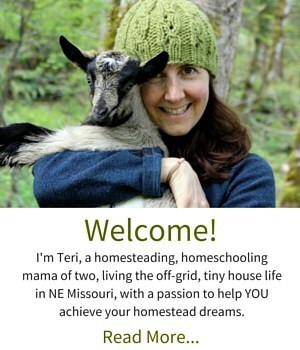 Please feel free to visit and/or share my brand new homesteading blog. We are just beginning. Thanks again! You are welcome any time!! There’s plenty of syrup to share!